Dr. Gayl Hubatch offers classes in QiGong, Tai Chi, HeartMath, and Life Coaching. Visit the Calendar for an updated list of classes and trainings. This QiGong workshop will focus on stress and pain relief. Learn simple breath and movement exercises to stop pain and reset the sympathetic: fight or flight response to parasympathetic: relaxation response. We will be doing qigong sitting and standing. There is also a simple walking exercise called Xi Xi Hu for chronic conditions, even cancer! Develop your personal Tai Chi, Yoga, Qi Gong Practice! Gayl is available to teach individuals and couples a personal movement practice. For additional information contact Gayl Hubatch by email at gayl@blueheroncenter.com or 512-266-2059. 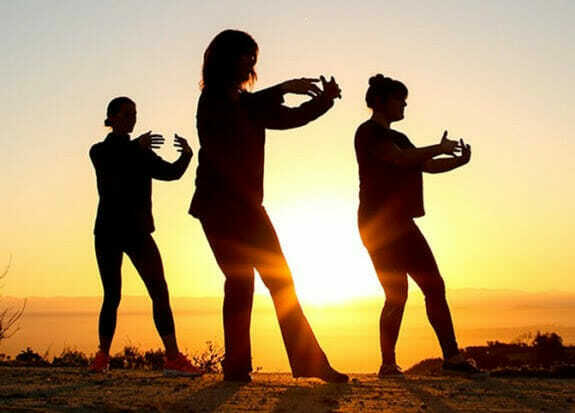 This beginner course in Tai Chi is led by Blue Heron Center founder, Dr. Gayl Hubatch. Resilience is all about having more inner balance and energy to do what is most important in your life. Numerous independent, peer-reviewed studies have validated significant and sustained improvements such as reduced stress, improved employee health, well-being and communication, lower health-care costs, shorter meeting times and increased productivity and resilience. Benefits of this training include better sleep, more creative decision-making, improved teamwork and morale and greater ability to effectively deal with difficult people, deadlines and other challenging situations. Call 512-266-2059 or email gayl@blueheroncenter.com to find out more!